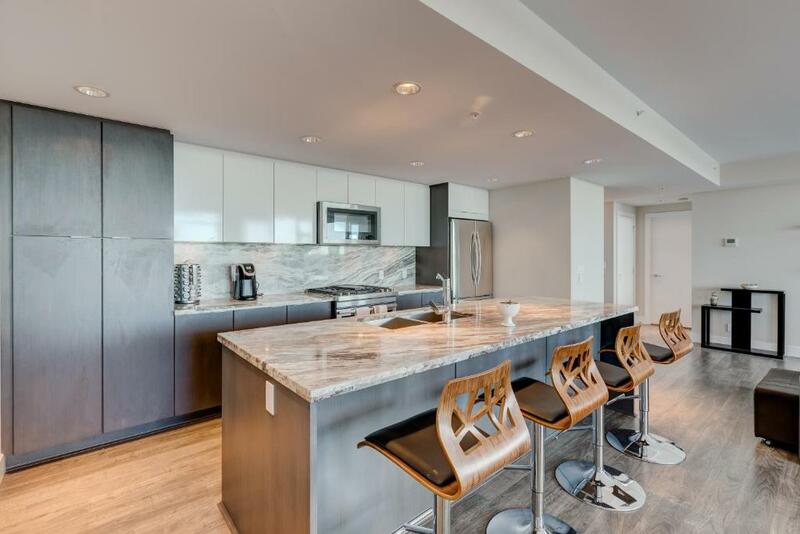 Lock in a great price for Luxury Sub-Penthouse – Downtown Riverfront – rated 9.5 by recent guests! Located in the Downtown Calgary of Calgary, Luxury Sub-Penthouse – Downtown Riverfront has accommodations with a seating area, a flat-screen TV and a kitchen. Free WiFi is available. Each unit features a dishwasher, oven, a coffee machine, as well as a microwave and electric tea pot. Some units have a dining area and/or a balcony. 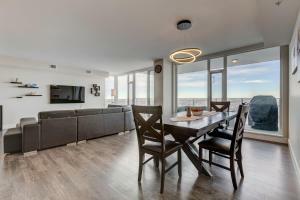 Popular points of interest near Luxury Sub-Penthouse – Downtown Riv include Stampede Park, Calgary Stampede and Calgary Tower. The nearest airport is Calgary Airport, 11 miles from the property. 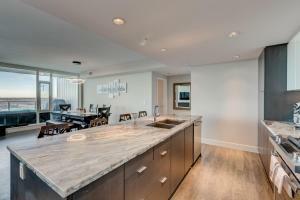 When would you like to stay at Luxury Sub-Penthouse – Downtown Riverfront? 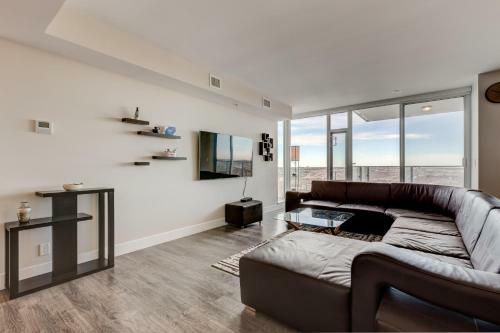 This apartment has a balcony, oven and kitchen. 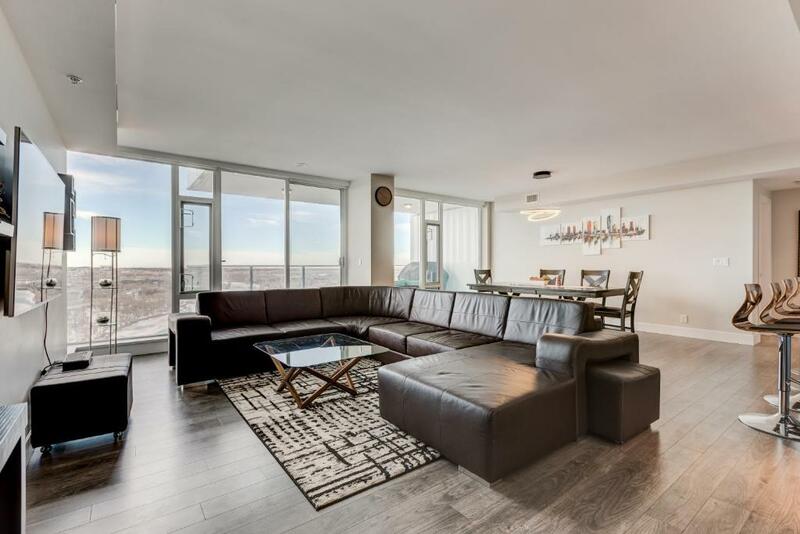 Modern, open concept condo on the 27th floor! 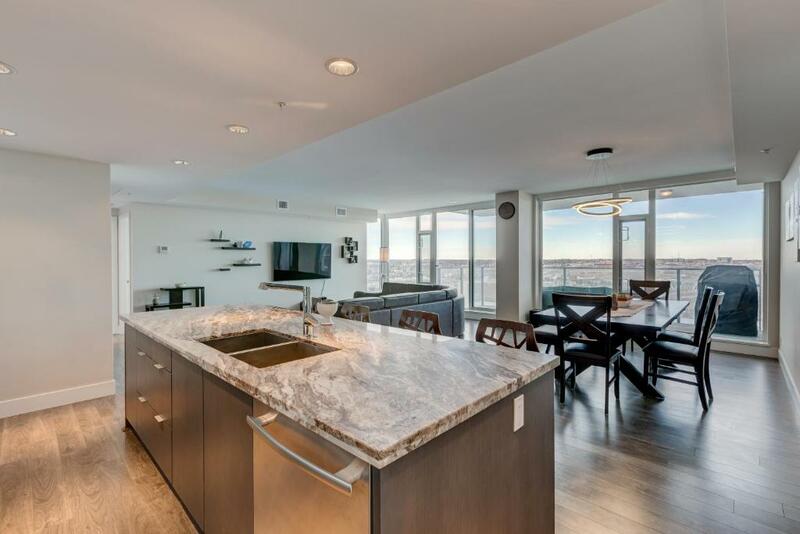 Enjoy amazing views of the Bow River & surrounding neighborhoods on the balcony. Enjoy a BBQ with the views! 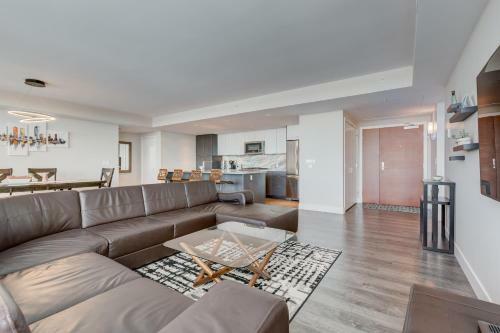 The City Centre location provides ease of access to the Riverwalk, Fort Calgary, Stampede Grounds, Calgary Zoo and Downtown nightlife. The C-Train station is located only 2 blocks away! 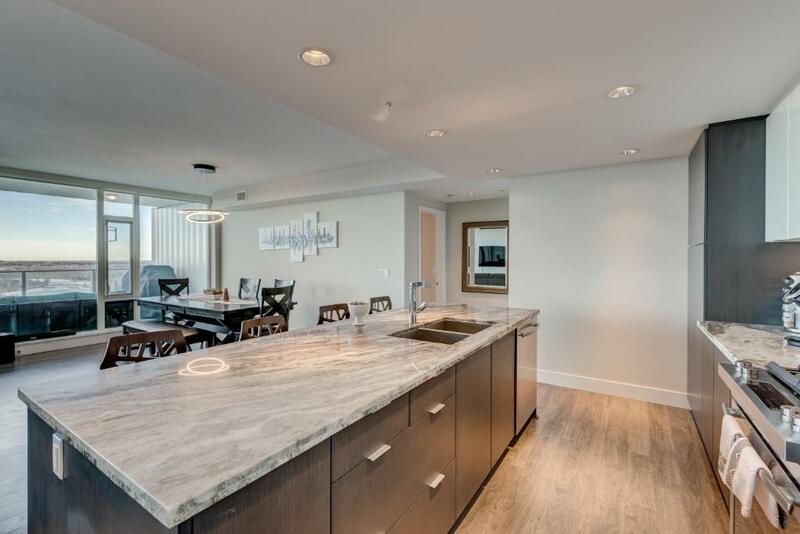 House Rules Luxury Sub-Penthouse – Downtown Riverfront takes special requests – add in the next step! A CAD300 damage deposit is required on arrival (around USD225.12). This deposit will be fully refunded at check-out, as long as there isn't any damage to the property. Any additional adults are charged CAD 15 per night for extra beds. Debit card Luxury Sub-Penthouse – Downtown Riverfront accepts these cards and reserves the right to temporarily hold an amount prior to arrival. Luxury Sub-Penthouse – Downtown Riverfront accepts these cards and reserves the right to temporarily hold an amount prior to arrival. A damage deposit of CAD 300 is required on arrival. That's about 225.12USD. This will be collected as a cash payment. You should be reimbursed on check-out. Your deposit will be refunded in full, in cash, subject to an inspection of the property. Figuring out the parking garage and elevator is a little confusing. Follow David's directions and it will make sense as soon as you see it. Beautiful space, well appointed with amazing views. 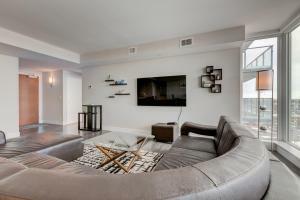 Great area with good restaurants within walking distance. Spotless and clean with good toiletries (soap, shampoo, etc) provided. A most gracious and welcoming host. We were supposed to check out at 12 noon. A cleaning lady came at 11.00am, and wanted to clean the place saying that there was an early check in for another guest. She was rude and started the washing machine while we were still inside. The view, the decor and the spaciouness of the apartment was amazing. If I’m being picky and considering it is listed as a luxury property, It needs a little more cleaning and some minor repairs. Excellent location. Great view. Comfortable. Quiet. Didn't realize there was a $100 cleaning fee..Wasn't provided a check out time. Had to rush back to get our things. Could not understand the host who checked us in as he could not speak English therefore checking in was not easy at all. Very nice gentleman but spoke no English.